We saw some leaked photos of the Acer Liquid Metal, Android smartphone back in September, now Acer has officially announced their latest Android based smartphone. 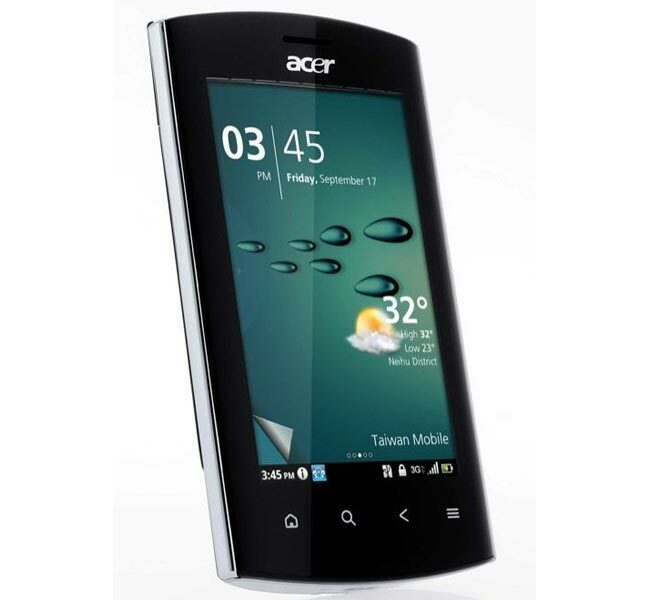 The Acer Liquid Metal comes with Android 2.2 Froyo, and is powered by an 800MHz Qulacomm MSM7230 processor, plus there is a 3.6 inch touchscreen display. Other specifications on the Acer Liquid Metal, include a five megapixel camera with built in image stabilization and an LED flash, the camera is capable of taking still photos and recording HD video in 720p. There is also 802.11n WiFi, DLNA and uPnP streaming support, and HSDPA. It also comes with a new Breeze UI and a SocialJogger apps this is designed to provide you with updates from Facebook and Twitter. The Acre Liquid Metal will be available in the UK next month for £299 in brown, and the silver version will be available in December.